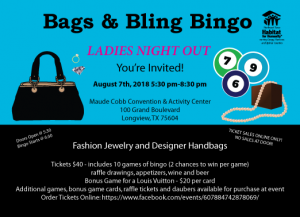 Join us for a ladies night of food, fun, Designer Handbags and Jewelry!!! Fashion Jewelry for Women and Designer Handbags!!! Raffle tickets available for $5 each at event!!! Plus extra bonus game card (for a chance to win a Louis Vuitton) can be purchased for $20 each at event!! !